The Lodge is pleased to present The Last Island by Chad Attie. His new body of work The Last Island is comprised of 4 years of work, playing out in paintings, drawings, sculpture, and videos. All revolving around themes of memory, desire, loss and the structures we create to feel safe. Chad Attie was born in Los Angeles, California. He attended UCLA and Boston University and was an N.E.A. Presidential Scholar in the Arts. Attie also spent a year studying at Villa Rosa School of Fine Arts in Florence, Italy. His smaller-scale works on paper include “The Wonderlust Series” which consist of over 800 personal stories and illustrations, and “Princess Paintings,” which were made inside vintage fairy tale books. 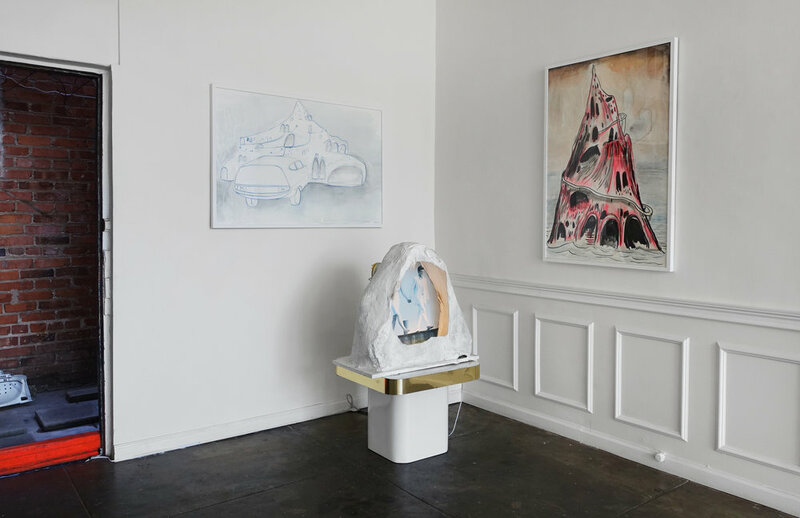 Attie has had solo shows at Klowden Mann, Caro d’Offay in Chicago; Frank Pictures, Carl Berg Projects, and Newspace in Los Angeles; and Wooster Projects in New York. His work has been included in solo and group shows at galleries, universities and museum auctions including the University of LaVerne; Ace Gallery, Beverly Hills; MoCA, Los Angeles; Santa Monica Museum of Art, Santa Monica; and the Zimmer Museum, Los Angeles. In 2008 Attie was the subject of a short film, “The Experience of Art,” by Michel Comte. He was also commissioned by Mini Cooper to create 6 paintings for their “Creative Use of Space” campaign and an accompanying magazine. 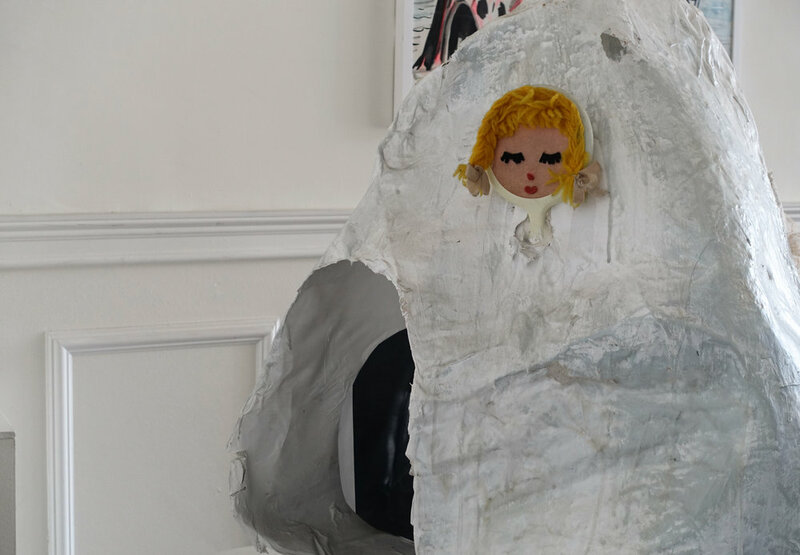 In 2012 Attie began a series of 3-dimensional sculptural collages. These new works weave together elements of fairy tales, literature, history, and autobiographical material. Chad Attie lives and works in Los Angeles. Join us for a special artist talk and film screening with Chad Attie, in his current exhibition The Last Island.